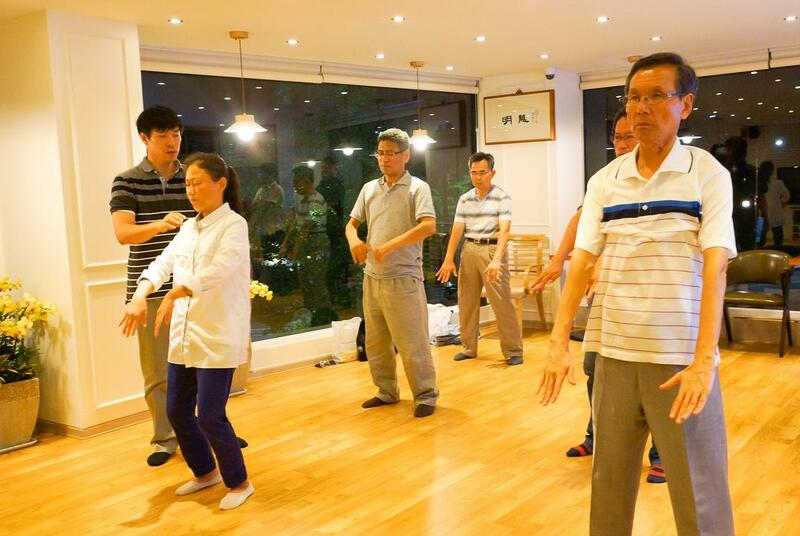 Participants watched Master Li Hongzhi's (the founder of Falun Dafa) lecture tapes and learned how to do the exercises. All of them knew how to do the exercises after six days. 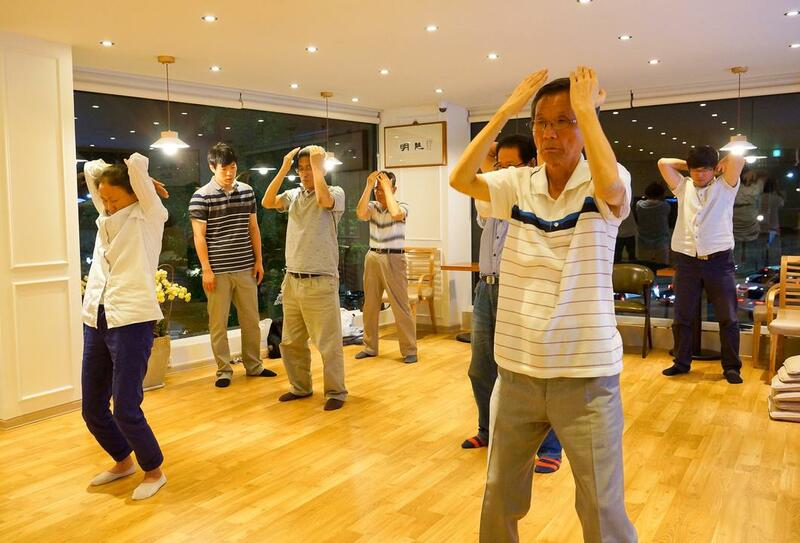 Most of them said that they felt heat in their hands and feet while exercising and some felt a strong energy field. 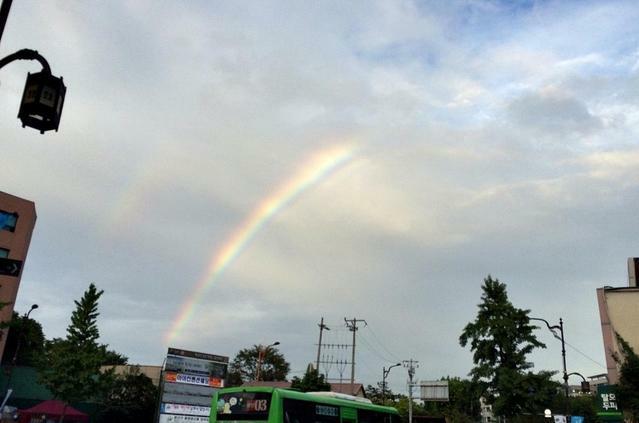 On the last day of the lecture session, the participants saw a rainbow in the sky. 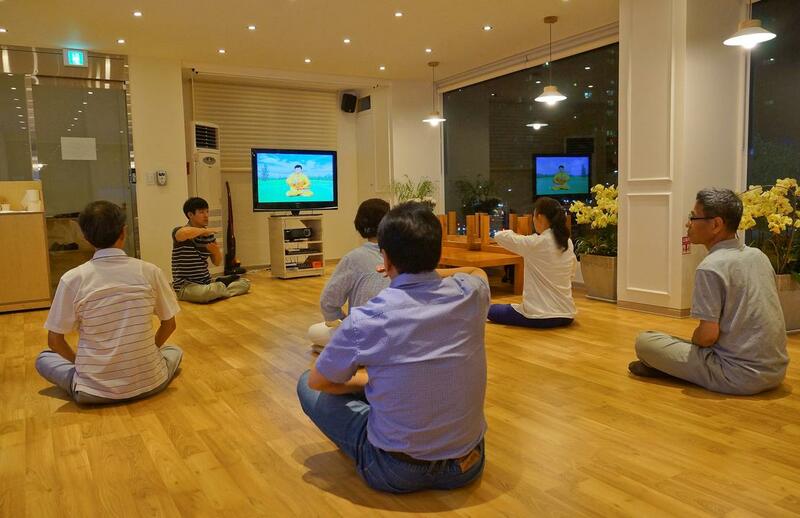 Ms. Park used to live in China and had a brief encounter with Falun Dafa. She regretted missing it back then and wanted to seize the opportunity this time. She bought 16 Falun Dafa books on the first day. She read the books every day on her way to work and back. She didn't miss a class and experienced the miraculous healing power of Falun Dafa. “My body lightened up and it feels like I am flying when I walk,” said Ms. Park. Mr. Kim said that he didn't understand everything Master Li said in the lecture the first day and went to the Falun Dafa website to listen to it again. His insomnia and severe depression disappeared shortly after he learned the practice. He slept very well, and he felt comfortable and relaxed after waking up. He felt joyous from the bottom of his heart. A 72-year-old man who came from out of town used to learn other types of qigong and thought the movements were difficult to follow. 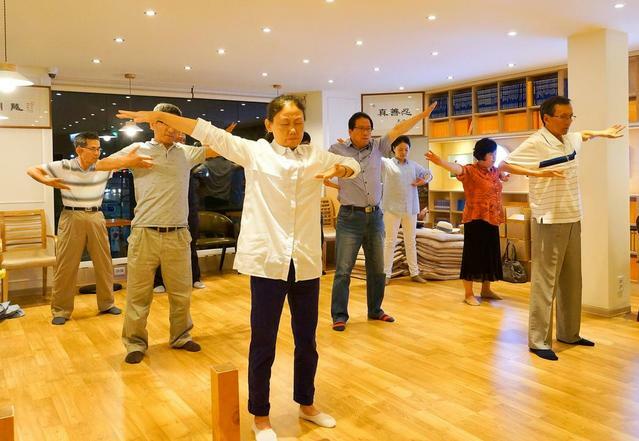 He said that Falun Dafa exercises were easy to learn and he liked how it teaches you to focus on improving one's moral character. Another participant mentioned that he didn't feel the effects that others did physically, but that he would continue to practice because he knew this was the practice he wanted.